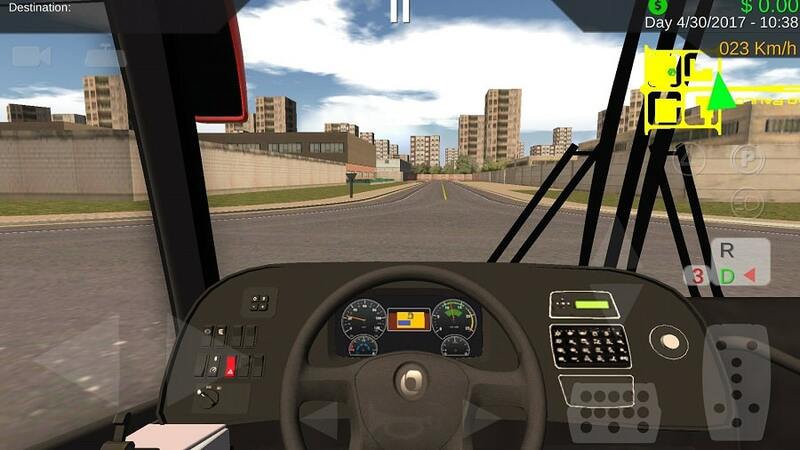 Heavy Bus Simulator for PC is a smooth, well-designed simulation game of Buses. 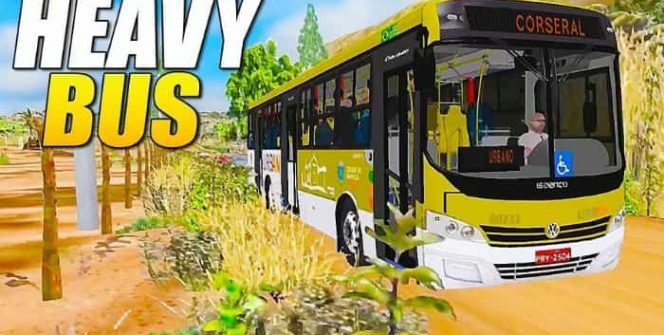 This addictive game from the same creators of Heavy Truck Simulator, (Dynamic Games Entretenimento Ltda), gives you a close to real life experience of driving a bus full of passengers around the major cities in Brazil. You’ll be passing highways, off-roads, mountain roads, etc, but you are expected to drive as efficiently as you can and drop the passengers to their destinations safely. Do you think that you can make a good trip to your passengers? Then download Heavy Bus Simulator for PC and start playing now. The pause menu, which is located at the top of your screen, lets you access the options menu, where you can choose to have either low, medium or high traffic on the streets, auto or manual gear and your preferred mirrors on screen or vehicle. You’ll also be able to access the “call or tow service to take you to the nearest town” and “select the game controls” options. The accelerator & the brake pads are located on the bottom right side of your screen, in all options, but you can have the steering wheel located on the bottom left side of the screen, or the right & left arrow buttons on that side. Note that there are also other non-changeable controls on the screen. Right above the accelerator button, you’ll find a gear stick option, and a parking button above them, along with double indicator & headlights buttons. At the bottom of the screen, there is a decorative steering wheel with a horn as well as the right & left indicator buttons, which makes the game as realistic as possible. The developer has designed it with a new physics system that provides realistic gameplay. You’ll be driving the bus in many cities. New Artificial intelligence makes it enjoyable. There are many buses with realistic interiors, and more buses are added on latter updates. Skin systems let you paint your buses as you like. There are Traffic Lights, Dust, Radar, Fuel Consumption Stats and Traffic Ticket. Note: The game keeps getting better since many new features are added on each update. The game features routes that can be long and dull, just the way they are for bus drivers in real life. So it’s perfect for calm souls as well as the enraged ones, who are seeking tranquility through a quiet significant task. Note that you are the one who’s entrusted with the responsibility of dropping off the passengers, and no matter the conditions on the route, you’ll have to perform your duties, just in the same way a real-life bus driver would. 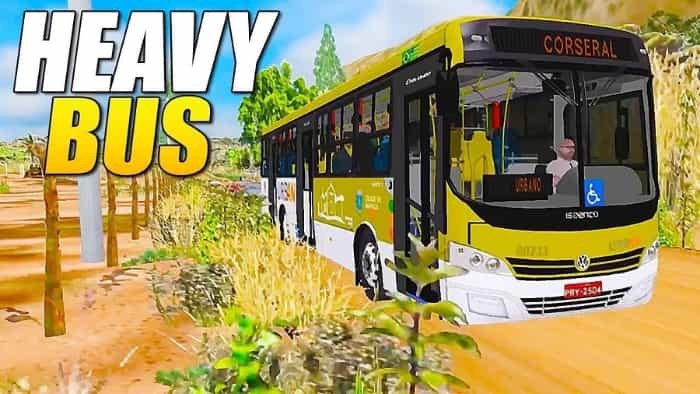 Heavy Bus Simulator comes with amazing graphics, which will make you enjoy playing it on the huge screen of your computer. The game was launched on Google Play & Apple iTunes, but if you wish to play it on your laptop or desktop, you can install it on your PC for free, using the step-by-step guide outlined in this article. Note that Heavy Bus Simulator for PC works on Windows 7/8/8.1/10/XP and MAC OS. Sometimes when playing Heavy Bus Simulator, bluestacks ask you fee to pay but gives you option to download some apps. Every time it asks you just select “Install apps” and continue using it free. I hope you enjoyed this article, please rate and share. If you have problems running Heavy Bus Simulator on your desktop or any other issues, leave a comment below.